174930-SS is rated 4.5 out of 5 by 4. Rated 4 out of 5 by KateB from Nice product I purchased this for our master bath renovation. It transformed our “builder’s special” generic bath to a more upscale look: worked as described, looks good. The temp control was a bit awkward at first but it’s nice that it ‘saves’ the level of hot/cold from your previous shower. Love the rain shower design. Good value, too. 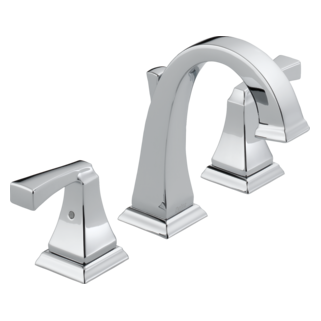 Rated 5 out of 5 by Sts from excellent faucet Excellent Delta quality, beautiful faucet, would recommend. Rated 4 out of 5 by Loniann from Classy. Missing a part. Classy looking faucet. Good pressure for a rain type shower head. Not as much pressure as a traditional shower head. We were missing the trim kit. Delta shipped out the wrong replacement part. Still waiting on the correct part. 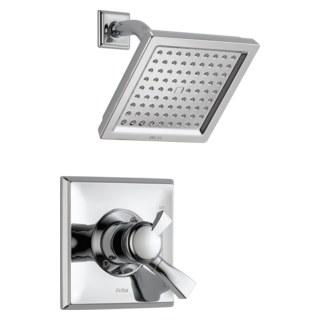 Rated 5 out of 5 by WillTx from Love this style I was going to give this a 4-star because installation of the handle is a bit tricky, but it looks great and the pressure is higher than I expected for the shower head type and plenty in my opinion. It is nice to have the temperature control separate from the volume control. Once you get your preferred temperature set, all you have to do is turn it on and get it the shower going forward. I would like to order the above model without the tub spout. Is this possible? Thank you for your question. 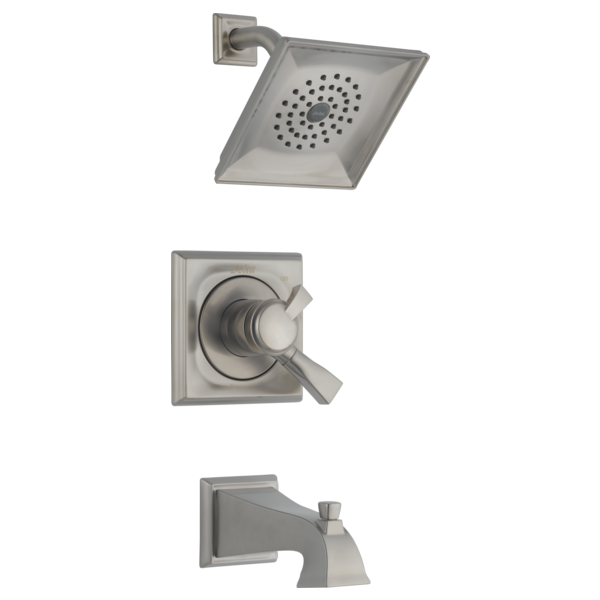 Delta Faucet model 174930-SS is not available without the tub spout. However, you can plug up the tub port and now use the tub spout to have a shower only faucet. There seem to be 2 different Dryden prices for a tub &amp; shower set. What's the difference? What's not there in the cheaper version, which I think I want. I saw a Dryden tub spout this week and it seemed way too big at about 8.5&quot; Is there a shorter version available for a small 60&quot; tub area? 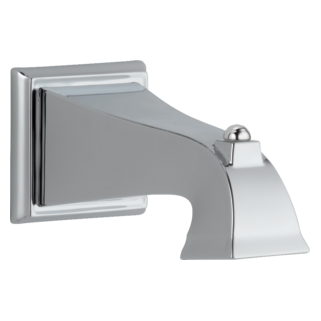 If not can you think of a shorter tub spout that would have a complimentary look - it's a totally different room from the vanity faucets. Thanks for your help. Can you answer by email, I have no idea where it would be posted?